Noob Alert- I am really confounded by the wheel spacer thing. 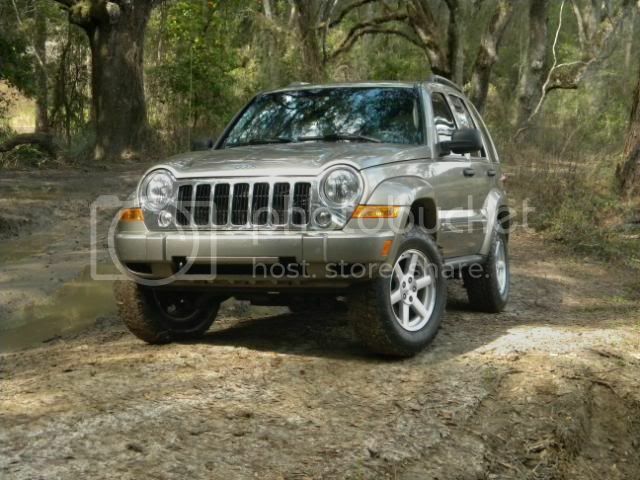 If I lift 2.25-2.5 in and keep the stock rims and put say 245/70r17s on will spacers help rubbing (fender,swaybars,etc.)? I need to re-read the whole backspace issue again as well I guess. The Unique 83B 17x7s come with 38mm offset and the KK stocks are 41mm (or vice versa,lol), With close to same BS/offset it wouldn't work well lifted in regards to rubbing w/o spacers. KKs need 4'' of BS when lifted for the best setup? Sorry if I am wasting people's time, I'm sure the answer is right in front of me-literally. I'm re-reading this whole topic over and over! Should probably just dive all the wheel topics and read up! Not wasting anyone's time, only way to learn is to ask. With only a 2.5 inch lift you can most likely get away with stock rims and a 30 inch tall tire ( like the 245-70-17 again depending on brand/ tread design) Many have done it already. But what comes into play is that most want a little wider look and also possibly better handling by having a wider stance. So that is where either spacers or wheels with a different backspacing come into play. One other thing also is the fact that as you lift an IFS you also pull the wheels in towards the frame a very small amount so this also helps when installing spacer / different wheels. Thanks for the explanation tommudd and arengant, I nuke things some times! Makes sense now, reading up does help also. I'll take all this into consideration with the upcoming upgrades. And Happy Veteran's Day to you arengant, and to all the Vets on LOST, hope its duty free. Unfortunately, I don't have the torque that you have to turn big tires and tow an off-road camping trailer! Even with 4:10 gears, a 31" tire is about my max tire height if I want to have a good handle in mountainous terrain. 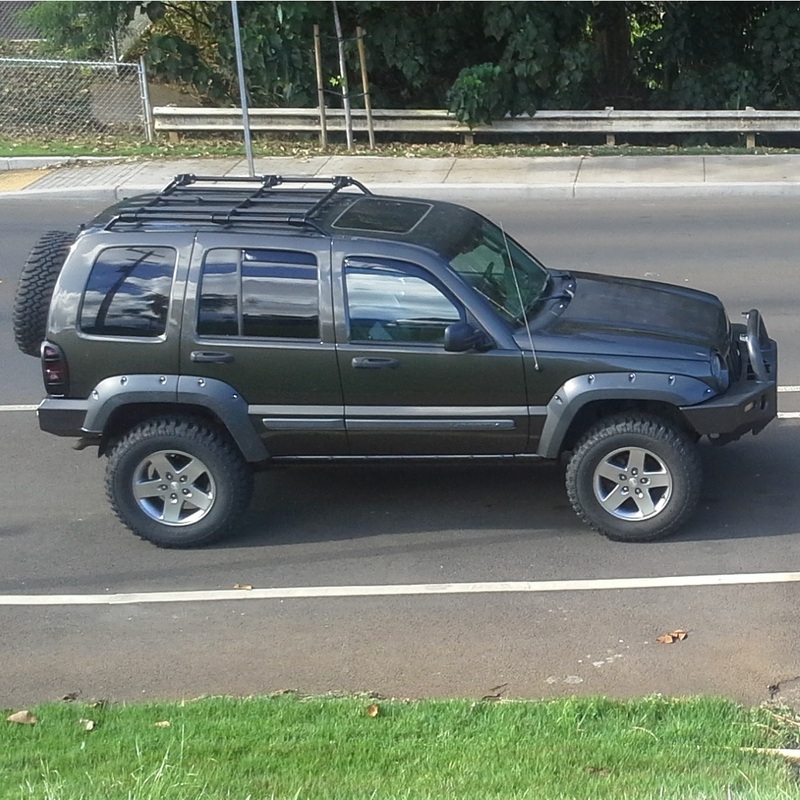 Wait until you add a winch, roof rack, and have a loaded Jeep towing a trailer, then you will know what I mean. arengant, any updates or pics? The offroad seen on the island is blah. Very hard to justify keeping it when I got an offer for what I wanted. Wow, you loved that Jeep! I'm surprised you sold her! With a family of 5, maybe you should wait for the Grand Wagoneer to come out. If the GW is as capable as the Commander (I wouldn't go on crazy trails, just some overland) I would, but it sure looks like a Durango with NO ground clearance! I'm revisiting this thread in hopes to entertain the thought of purchasing OE 17 X 7 steel wheels with 4.5" backspacing from a 300c, Challenger, or Magnum (LX Platform). If I decide to go through with this, they will actually be going on the XJ. Those wheels won't fit well enough...they seem like they will but they are different and will cause damage, especially when used for off roading. Probably a thread here, but the above one on the bottom of the first page and the whole second page discuss it well. I wouldn't run them after reading that thread. Tom, here's the rim that I think arengant had. It's the 5X114.3 OEM part# 04782466AC. The wheel seemed to fit fine and the lugs tightened the rim nicely. Otherwise, I don't know what I'm looking for in terms of fitment. I only purchased one wheel. If you sift through these pages, the debate was whether the 5X114.3 or the 5X115 was a better fit. According to what I understood, arengant said that the 5X114.3 was the better fit between the two. I thought his were the other ones , oh well ...so what is the back spacing on the wheel you bought ? Description	This Dodge used steel wheel is a genuine Dodge factory OEM rim. This Dodge stock wheel comes equipped on 2011-2012 Charger models. All of our Dodge rims are genuine Dodge Charger factory OEM wheels unless otherwise specified. This used rim is a Dodge Charger stock wheel. 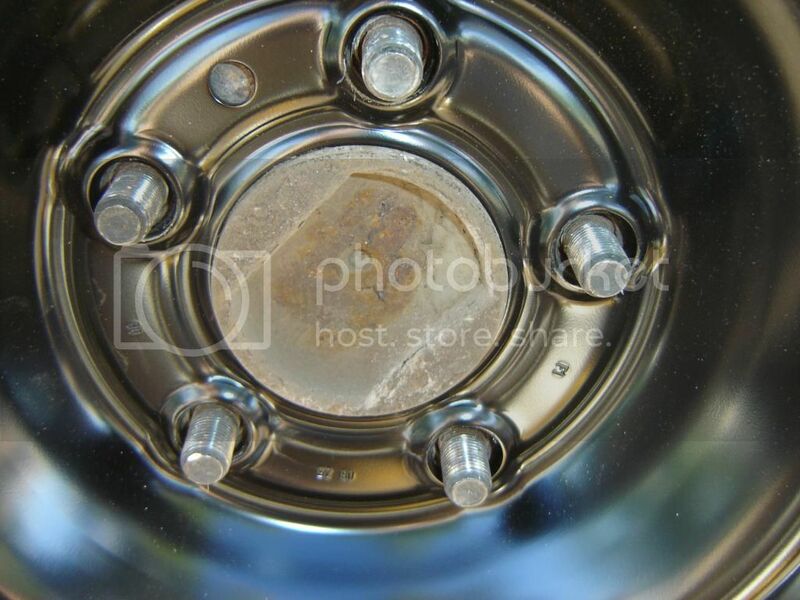 We may also have center caps available for purchase along with this Dodge Charger used wheel. 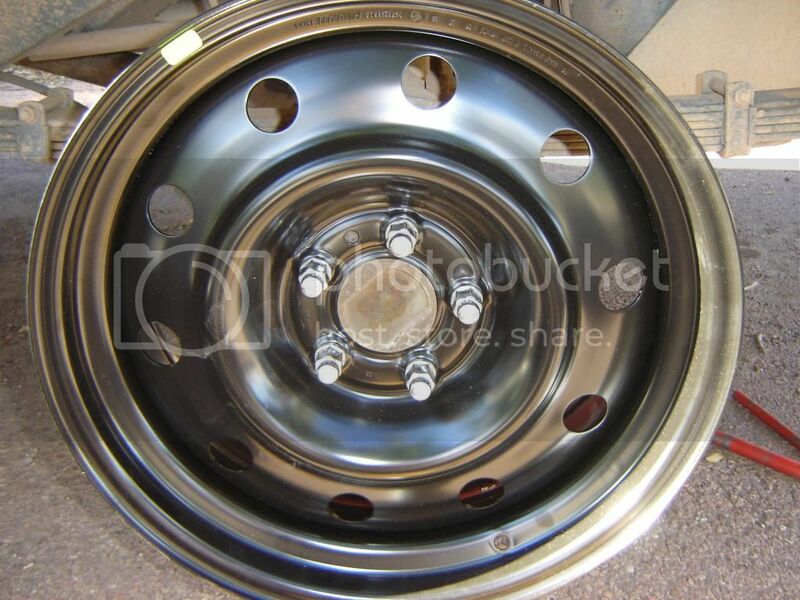 If 4 of these stock Dodge Charger rims are purchased, we will provide center caps for your car if available. Something I hadn't realized until I began tire shopping for my Jeeps is that there's less of a selection for 17" tire sizes. Liberty's came with stock wheels in 17" & 16". You can fit 15" wheels but likely will need spacers or offset rims to clear the Liberty's tie rod ends and brake calibers.